Welcome to the third installment of our four part series: Yoga for Newbies-Excuse Busters! I love yoga. I love the way my body, mind, and spirit feel clean and clear from my practice. Being human, I have the same struggles as everyone, and sometimes succumb to the power of excuses to avoid my practice. However, the more I practice, the more the excuses lose their power. Yoga simply feels too good to avoid. You, dear friend, can feel healthy and peaceful, too. At first, you may need to artificially create some momentum in your practice, but the more you bust through your resistance, the more the power of your practice will create it's own natural rhythm. Feeling good will lead to more feeling good will lead to more feeling good and on and on! From Gita: If you wanted to learn to play the piano, would you say, “I won’t take a piano lesson because I don’t know how to play the piano”? Of course not, you’d just start where you are. Yoga is the same way, each step towards peace and health begins right where you are, no prerequisites required! From Jess: You needn't be flexible to attend a class. Flexibility is obtained from practicing, but that is not the reason for yoga. There are many health benefits for people to practice, decreased stress, increased strength, improved balance, lower blood pressure, flexibility is just one tiny aspect of this amazing practice. From Gita: Find the right teacher, the right style, and yoga is truly for every body type! Power yoga is a good fit for athletes, restorative yoga is great for those on the mend, gentle flow yoga is good for folk with moderate stress; most yoga studios worth their weight in incense have detailed class descriptions so you can find the appropriate class. 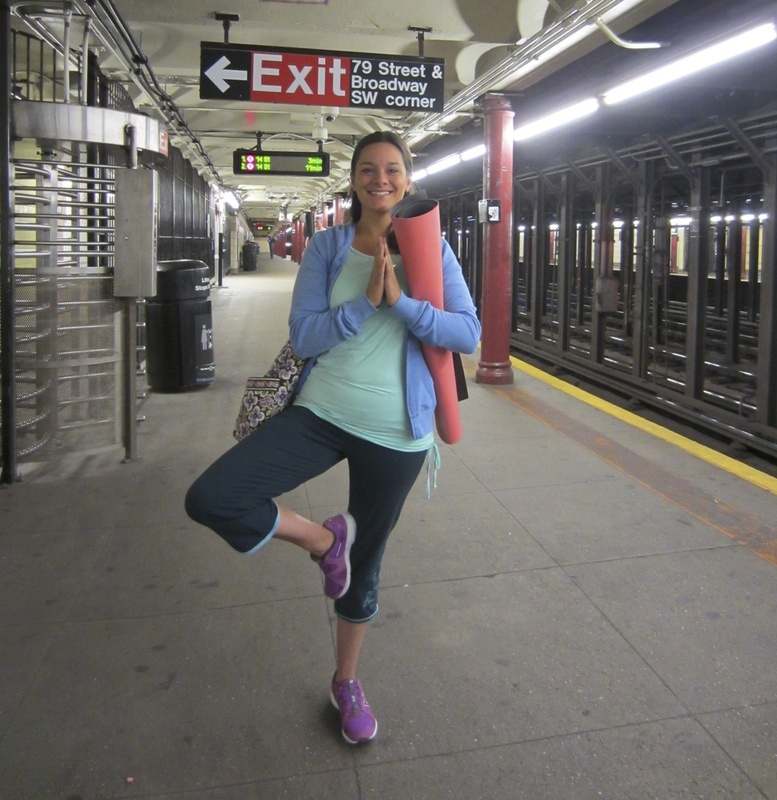 From Jess: Many people feel that they need to "do yoga" to attend a class. It is in fact a myth, because, how can you do yoga, if you do not do yoga? If you are apprehensive about going to a class and feel lost, you can always call the studio and voice your concern and they can tell you which class is best for a beginner. Also, you can speak with the teacher upon arrival, and often the teacher will pay more attention to you and offer more subtle instructions to you. 3. “Yoga is too airy-fairy crunchy-granola"
From Gita: Accessing health and peace is your birthright. If chanting, incense, and bowing bug you, stick with the physical feelings you get during yoga. Take what you need and leave the rest! From Gita: Oh my oh my, yoga is truly appropriate and safe for all ages. One of my favorite teachers is in her seventies, and let's not forget another amazing woman, who at 93 is proof positive that aging needn’t mean limitation! Click here for inspirational photos of a 93 year old master that made my heart sing! From Gita: Let’s call the word busy a naughty four-letter word, shall we? Please don’t mistake your status as a “I’m too busy for myself martyr” as truly being as useful to the world as you imagine. The more healthy, peaceful, and strong you are, the more the world around you benefits. Charge your battery so you can impart this powerful vibe to everyone you meet! Every day awaits with fresh promise. Every moment, every breath, is a chance to begin again. Take a little time to charge your battery with yoga or meditation, I promise the world will thank you! Jessica bustin' a yoga move on the go! I always thought if you practiced yoga, everything about you would have to change. While I am finding this to be fairly accurate, it is not in the preconceived way that I thought. I thought I would need to change my wardrobe, my choice of food, cleaning products, music….all at once to truly be a “yogi”. In truth, yoga comes when we are not attached to anything, so even such yogic preferences need not exist. As you go into yoga, preferences may change, but it is a relief to me that these things do not define us and are temporary, as we are. Know any busy friends who could benefit from some peace? Send them a link to our blog, share the yoga love!